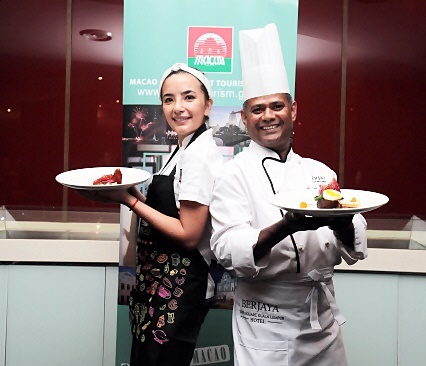 Thanks to the wonderful invitation, I was invited to sample the special MIGF Macau Menu prepared by Macau Chef Sandra Niza Barros in collaboration with Chef de cuisine Valmurugan Subramaniam at Samplings On The Fourteenth at Berjaya Times Square Hotel Kuala Lumpur last week. Only for the month of Sept 2018, diners get a taste of what Macau has to offer as they unveil a stunning array of culinary treasures showcasing the city's heritage flavours. The Macau Government Tourism Office has flown in Chef Sandra, a third-generation chef born and raised in Macau, who has curated an amazing modern Macanese cuisine with a twist in a special menu at Samplings On The Fourteenth. 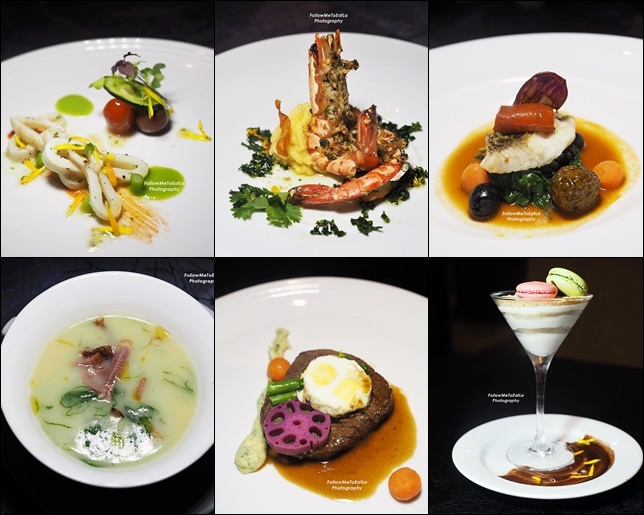 Her special menu is part of the Samplings On The Fourteenth's own MIGF menu, featured in conjunction with the on-going Malaysia International Gastronomy Festival 2018. The festival is back again and taking place from the 1st to 30th September 2018. 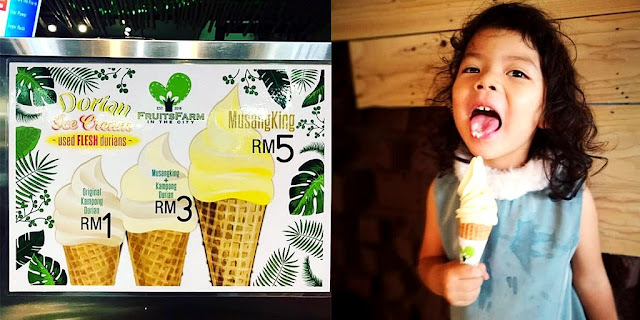 Throughout the Food Festival month, Malaysia’s premier league of dining venues will serve special Festival Menus at special Festival prices. The MIGF Macau Menu is priced at RM 208 nett per person (With Wine) and RM 178 nett per person (Without Wine). This consist of a full 5-course menu with the option of with or without wine. We started off our dinner with the appetizer of Portuguese squid salad. It features mildly grilled white squid seasoned with paprika-based sauce served on the plate together with cherry tomatoes, watercress and long beans. Our second course was followed by the classic Portuguese Potato Kale Soup. Chef Val explained that he substituted the traditionally used spicy chorizo pork sausage to smoked duck for this classic soup. The house-made duck was first smoked and slivers of its meat were added as toppings together with crispy turkey ham to enhanced the bland soup. The savoury smoked duck did wonders to the soup to heightened the tasting experience. Next was the entree of Macao Garlic Prawn, featuring fresh live water prawns cooked dry-style with garlic. The sweet tasting firm texture of the delicate prawns was infused with garlic giving it an aromatic flavour topped with crispy kale too. For the mains, diners will be presented with a choice of either of Confit of Soon Hock or Grilled Fillet of Marble 7 Wagyu Tenderloin. As for me, I choose a healthier option of having the wonderful premium Marble Gobi, known in Cantonese as the exquisite 'Soon Hock'. Chef did wonders to this dish where it was cooked beautifully confit-style to seal in the rich taste of the seafood. Awesome texture, complex even though simple, this dish came across as the winner for the night. Next, all meat lovers must go for the Grilled Fillet of Marble 7 Wagyu Tenderloin. Coax your tongues and taste buds to this generous serving of a 150gm chunky meat, pan-fry to medium retaining its flavours and served with a rich jus. Actually, it was delectable even without the sauce, the meat was as superbly tender with a melt-in-the-mouth experience that I credit to the Australian-imported Marble 7 Wagyu. No dinner should complete without a sweet dessert treat. We ended our meal with the classic Macao favourite called serradura. The dessert consists layers of whipped cream and cookie crumbs topped with macaroons goes well with either coffee or tea. Pamper your taste buds and your loved ones to this special MIGF Macau Menu. It was exclusively designed by the restaurant’s award-winning chef de cuisine, Chef Val and Chef Sandra that will bound to leave you with a memorable gastronomic experience. 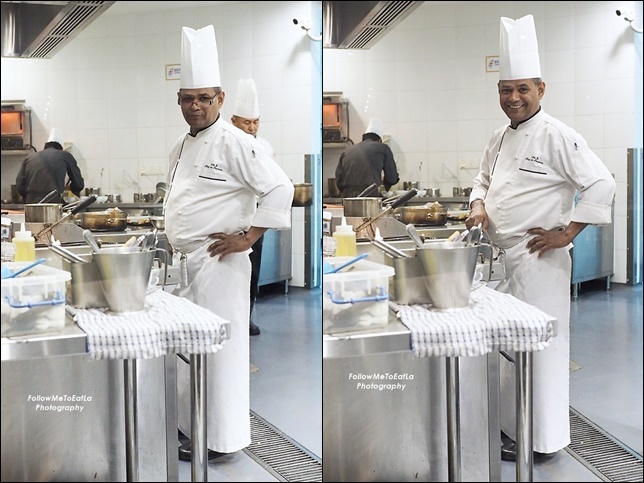 Under Chef Val’s stewardship over the years, Samplings on the Fourteenth Restaurant has received multiple awards with the most recent being Best Fine-Dining Restaurant, World Gourmet Award (2017) and the prestigious Malaysia International Gourmet Festival, MIGF (2015). The restaurant received 12 awards and topped last year’s performance of 8 awards at the esteemed annual affair.